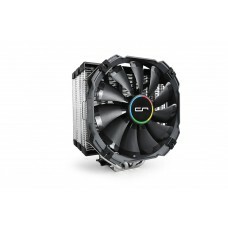 CRYORIG H7 Plus CPU Cooler the Dual Fan Enhanced Performance Tower.It has direct Air Tunnel Effect and aligned System Airflow.By adding one additional fan the full fan system aligns with your system fan, to concentrate and expel exhaust heat.It increases the overall efficiency of the whole system airflow.This CPU cooler has Enhanced efficiency with hive fin technology and design allows for a combination of Jet Fin Acceleration and Turbulence Reduction, as well as strengthening structural strength of the fin stacks. 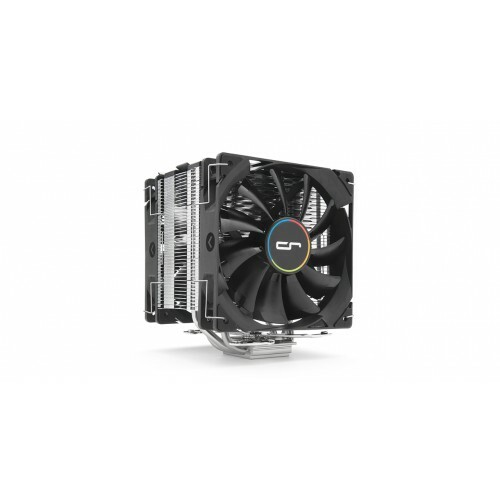 Combined together, the Hive Fin design brings cool innovation.Enhanced Efficiency with Hive Fin Technology CRYORIG H Series coolers feature our proprietary Hive Fin structure. This design allows for a combination of Jet Fin Acceleration and Turbulence Reduction, as well as strengthening structural strength of the fin stacks. Combined together, the Hive Fin™ design brings cool innovation. 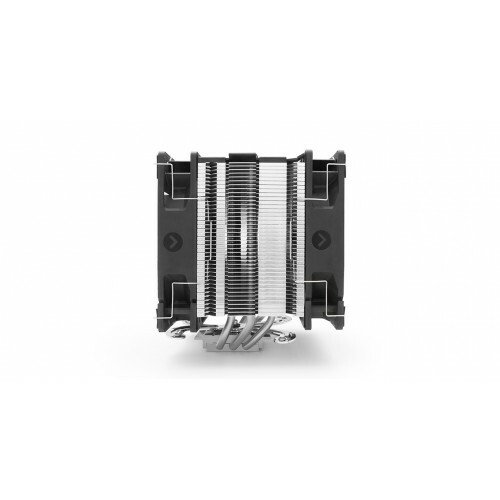 With the Heatpipe Convex-Align™ System, each heatpipe functions to their maximum TDP capacity and unmatched Compatibility Zero RAM Interference. 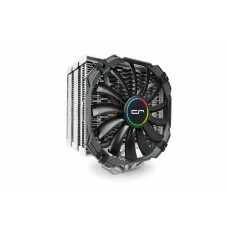 The H7 utilizes an asymmetric slanted heatpipe layout to move the heatsink away from the RAM zone, Offering optimal compatibility for RAM with tall heat spreaders on both Intel™ 115X and AMD platforms.The CRYORIG H7 has compact compatibility written in it’s design. 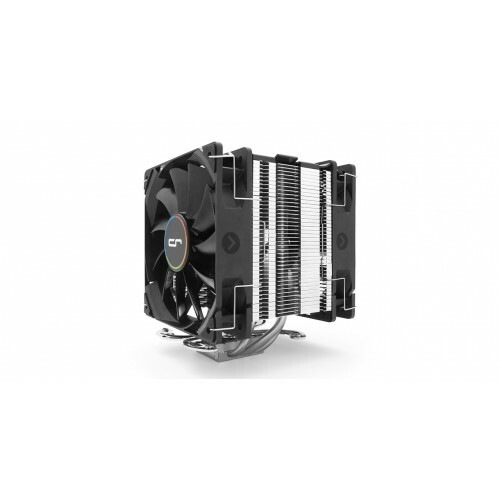 Only 145mm in height the H7 is one of the smallest 120mm fan class tower heatsinks on the market. The H7 will fit in almost all mid-tower PC chassis. The H7 can deliver much needed tower grade cooling performance in tight spaces.The additional air intake allows the QF series fan to have a higher air output volume for its fan diameter, which equals better temperatures for your CPU heatsink and more air exchanged for your system case.